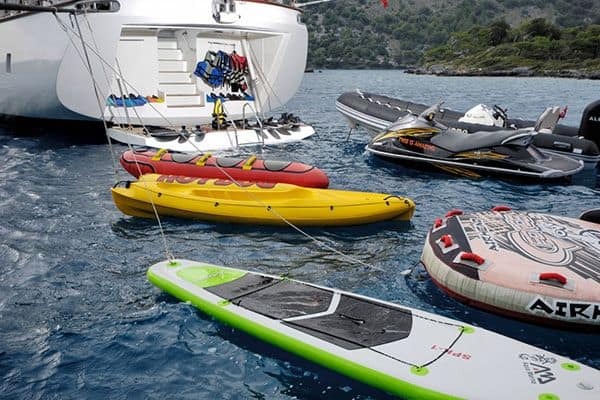 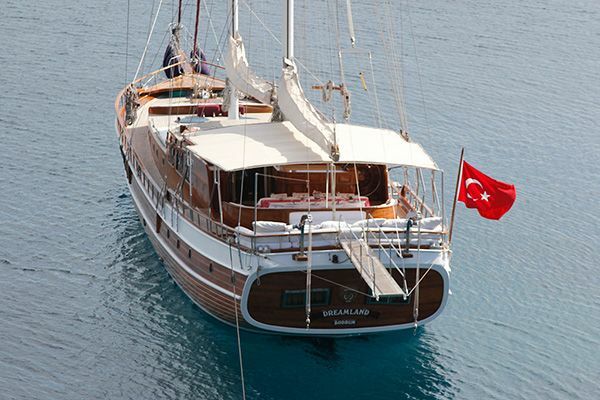 The deluxe gulet Didi is one of the most sought after gulets on the Aegean, proving that luxury can be enjoyed in small perfectly detailed gulets. 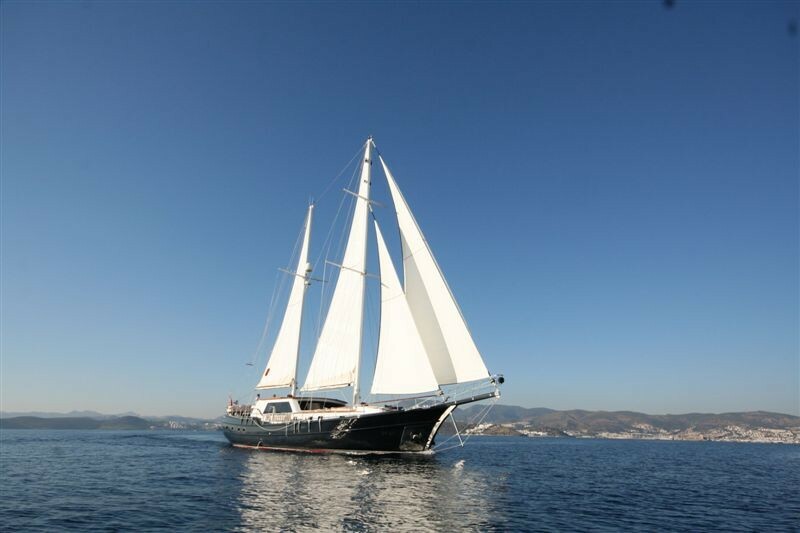 The chic black hull with white wheelhouse makes this Turkish ketch utterly distinctive amongst gulet yacht charters along the Turkish Riviera coast and through the Greek Dodecanese Islands. 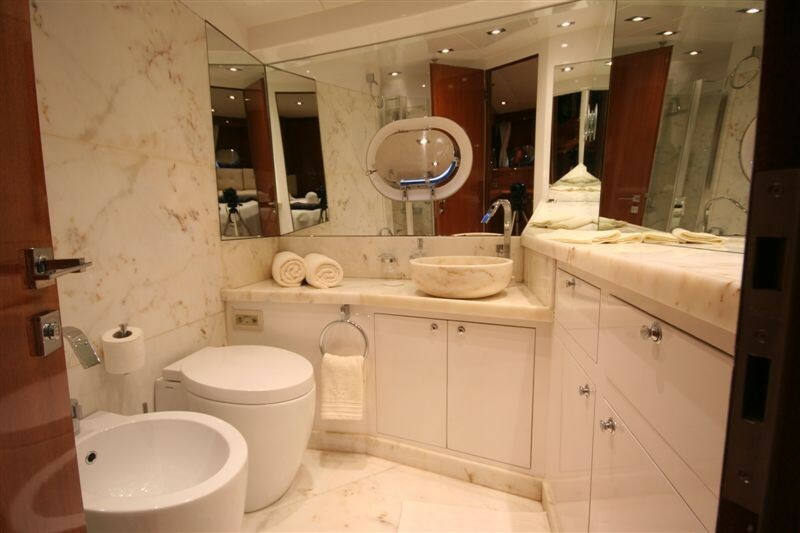 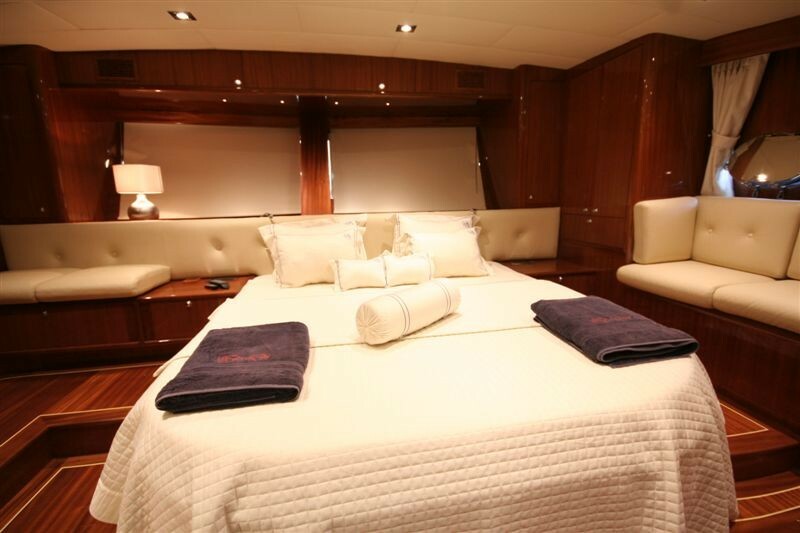 The fine details in the creamy marble bathrooms, the master and double cabins with their profusion of cushions, the immaculately fitted galley kitchen where the chef excels in his arts, the wickedly inviting daybed on the foredeck, plus the sunbeds, and the personally styled al fresco dining table aft, are just parts of an enviable whole. 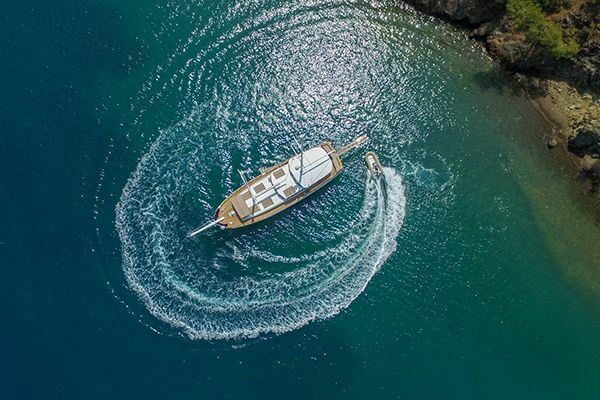 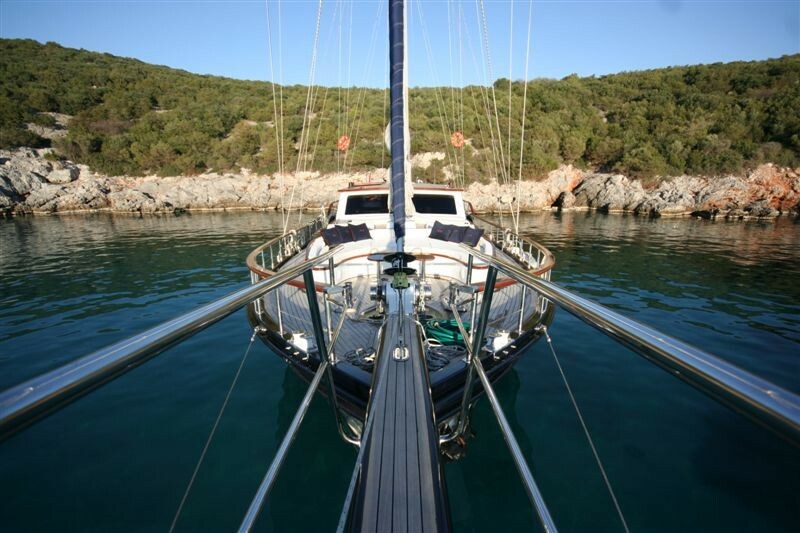 With the decor overseen by an Italian designer, the Didi is ideal for couples looking for an exclusive and stylishly luxurious gulet cruise holiday getaway. 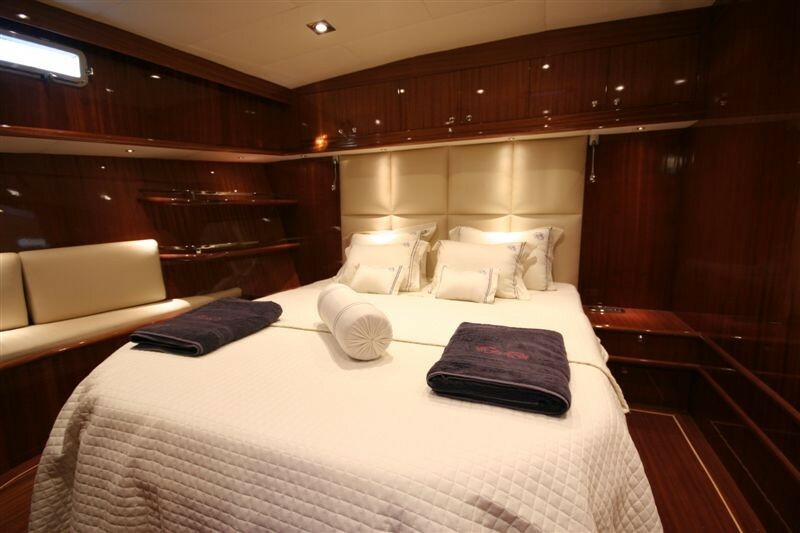 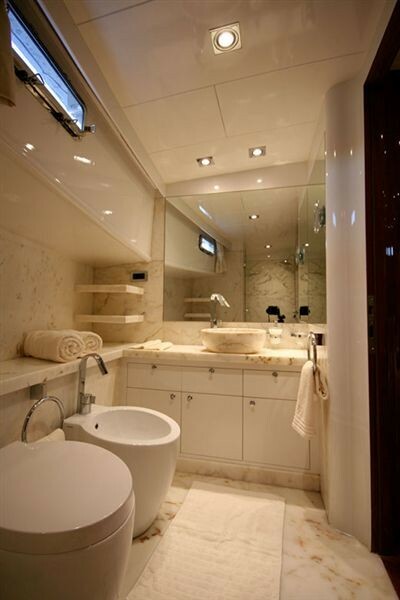 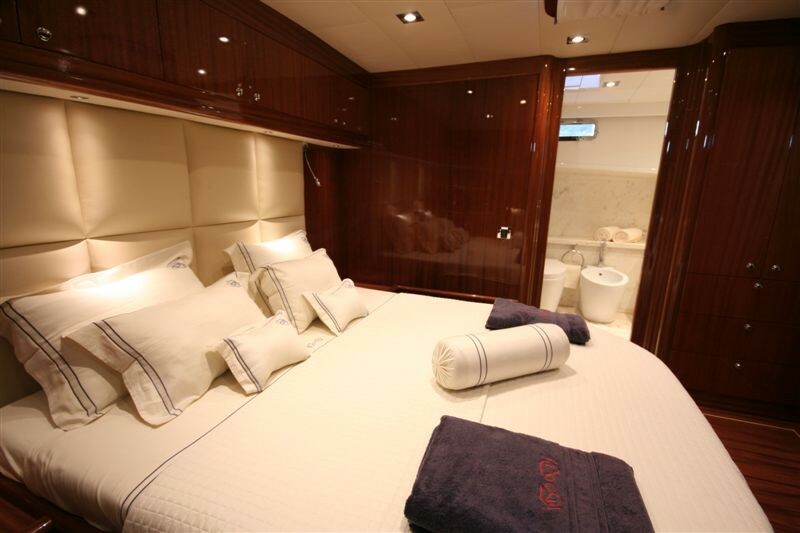 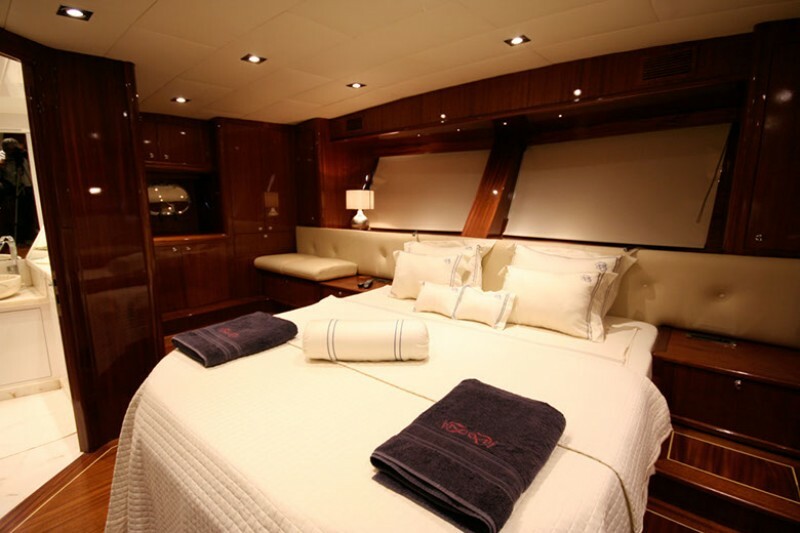 The two master suites on luxury Turkish yacht Didi ; enjoy the space of the full beam width allowing for centrally aligned beds, sofa bench seats to the side, and a compact marble-lined bathroom complete with shower, WC , bidet and full basin. 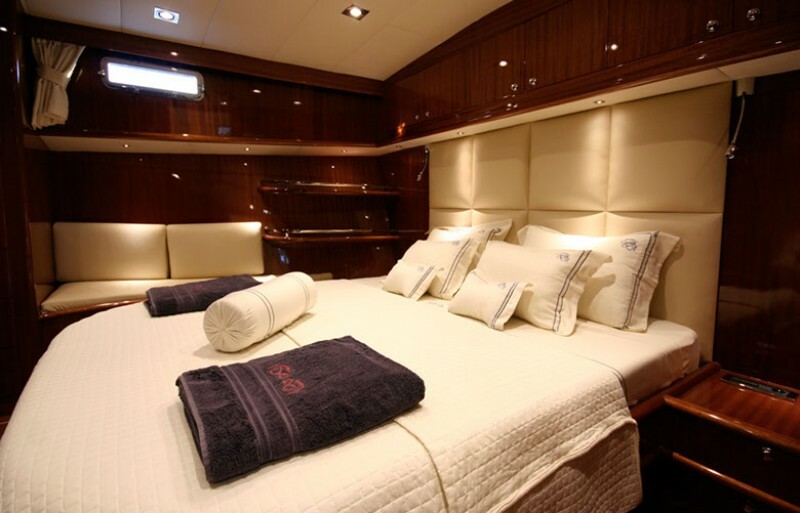 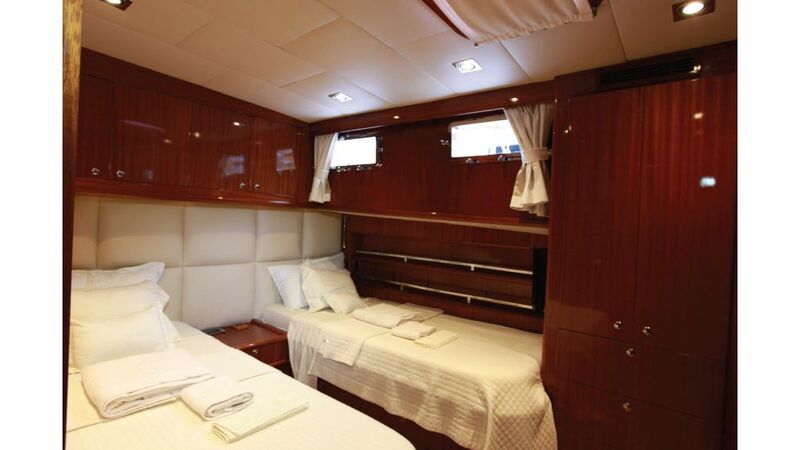 One double bed cabin and one twin bed cabin each with their own bathroom make up the accommodation on board, where all cabins are stylishly lined in timber with cream textiles and furniture. 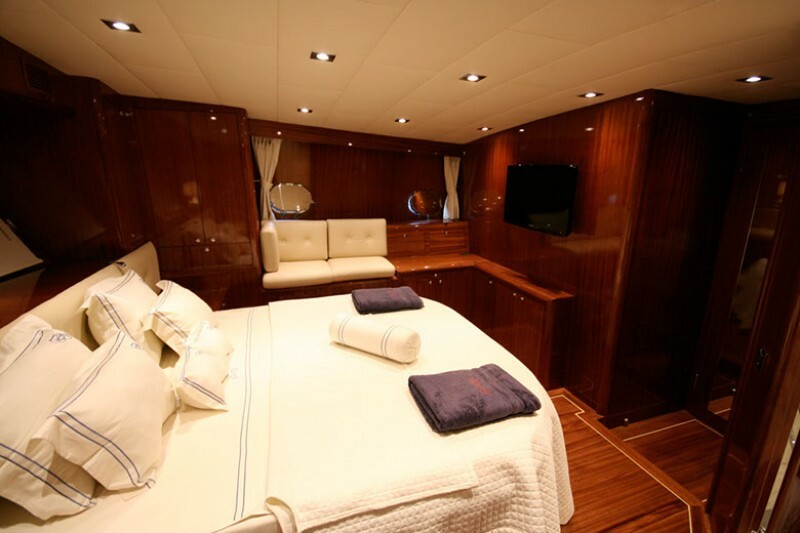 The cabins are all connected to the air-conditioning, and enjoy their own TV. 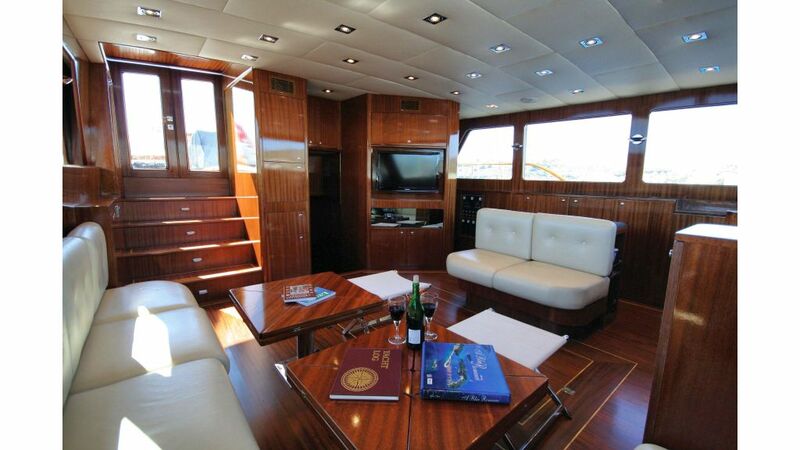 The indoor saloon continues the same theme of timber and cream stylish decor for indoor dining or relaxing. 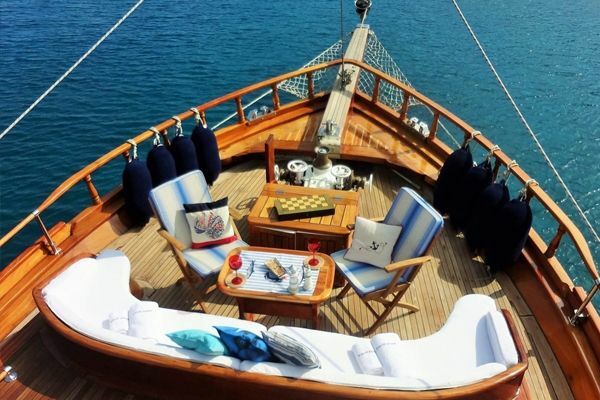 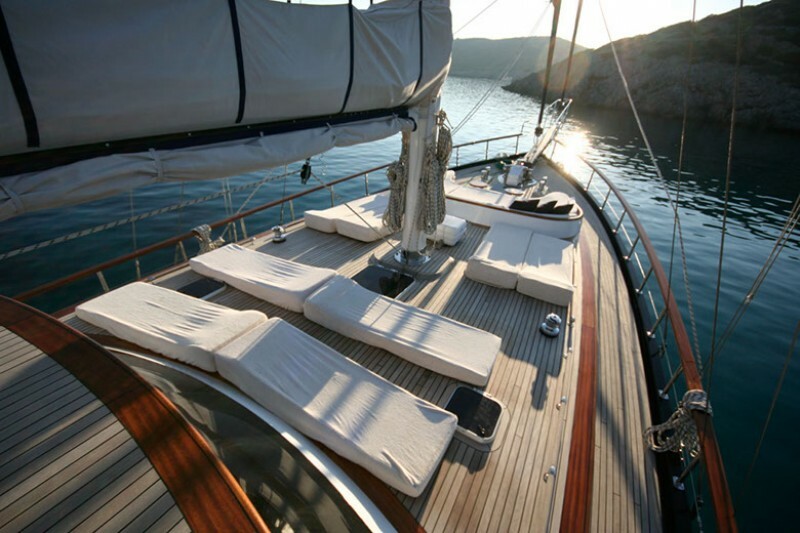 The real delights of a gulet cruise are to be experienced outdoors, and the gulet Didi has a luxurious daybed at the bow perfect for sharing lazy hours in the sun, or evening drinks under the stars, while foredeck carries individual sunbeds. 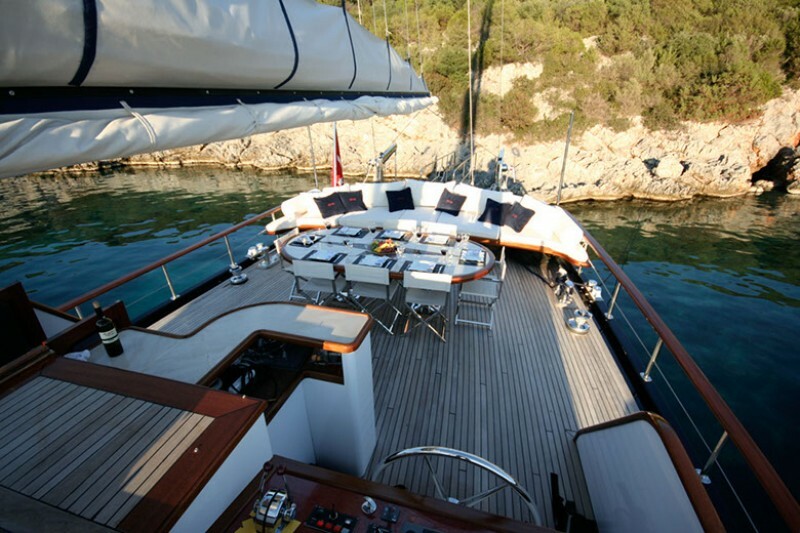 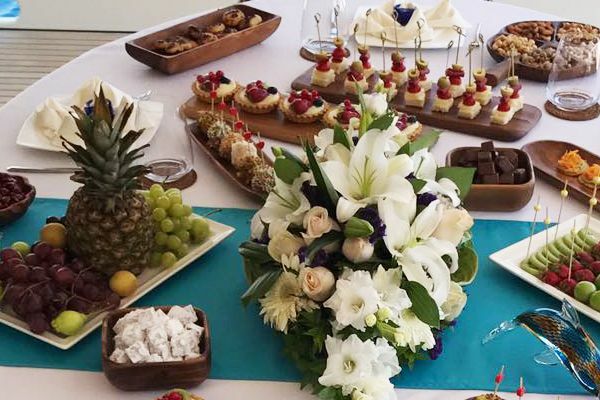 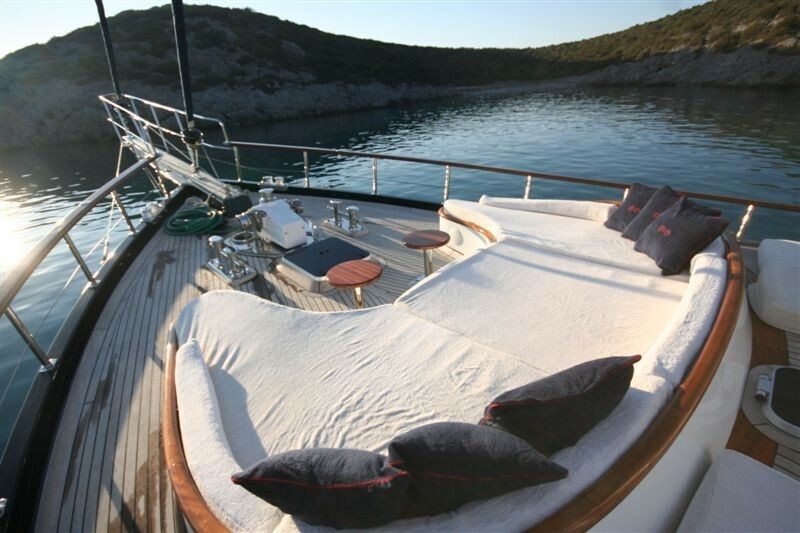 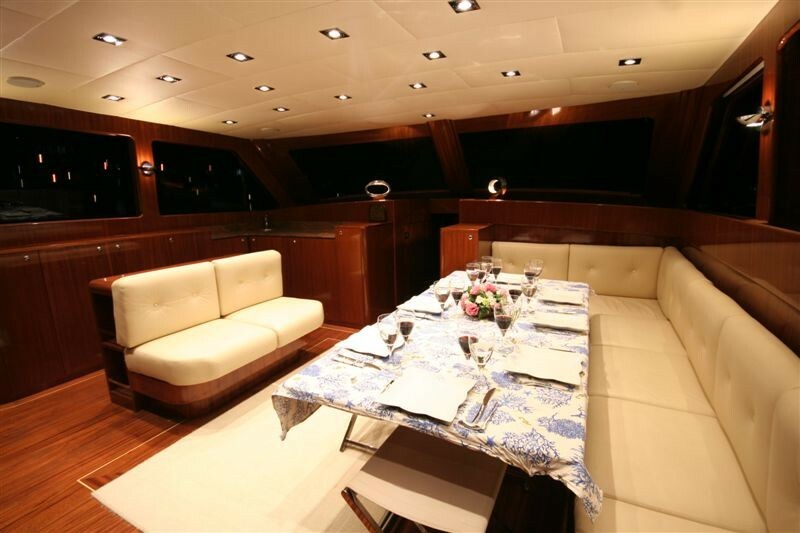 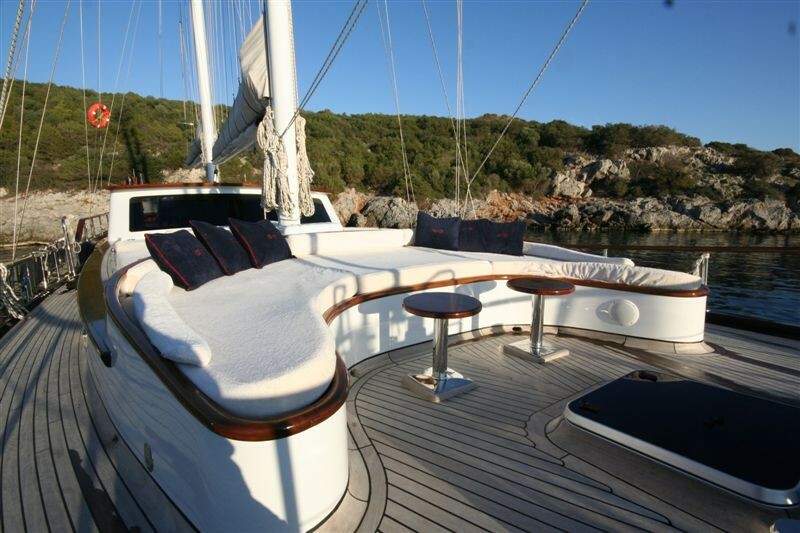 Dining outdoors on the aft deck is a pleasure every day, while another bank of cushions invites relaxation at the stern. 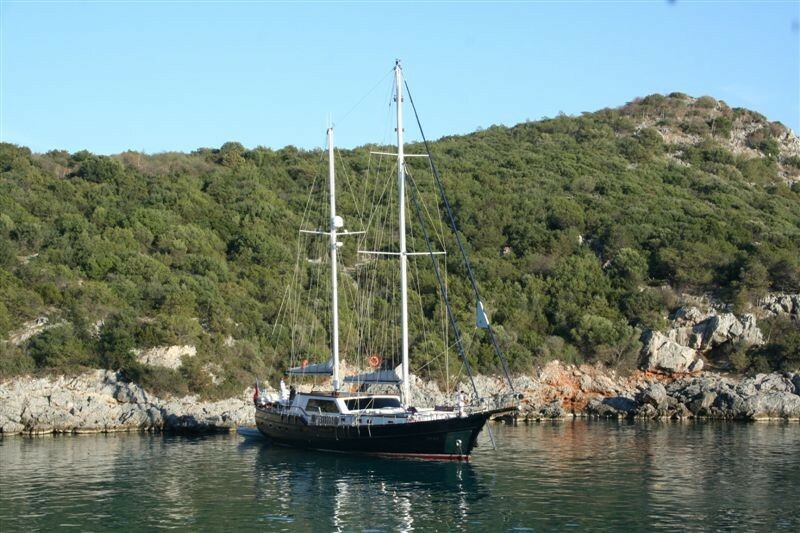 The Captain and crew of two on yacht Didi look after the service, meals presentation, care and navigation of the gullet, ensuring all the guests’ needs are attended to, while also finding the best anchorages along the Turkish Agean coast and the Greek Islands, by motor or with the full sailing rig, to make an unforgettable yacht charter holiday.